Obviously, don’t send this email to Microsoft! Of course in Excel 2016 we’ll have much better options for copying, pasting and moving queries in VBA, but until then we’ll have to live with hacks like this. Brilliant! Funny how so many ideas are born from situations where the original purpose was so different. A few months ago Imke Feldman gave us PQ management studio which basically is based on “send frown” technique. You can see her file here (technet gallery). 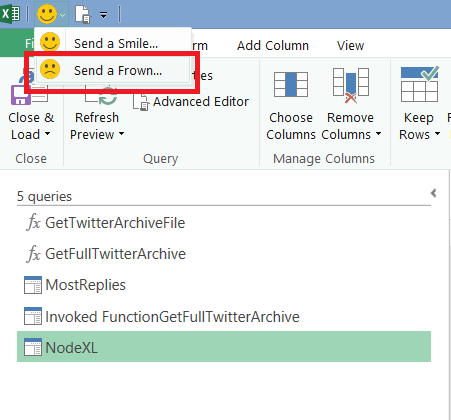 it seems that Microsoft has changed the “Send a Frown” dialog. 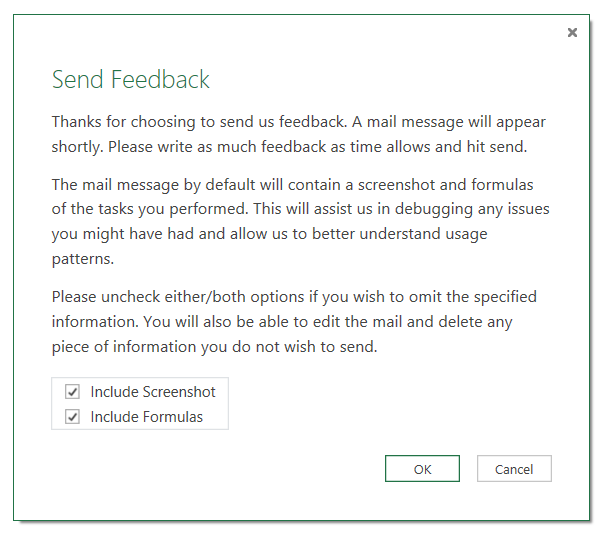 and by pressing “Submit” no email is generated, instead the message is automatically sent with the screenshot. Did you find any workaround in the meantime? Are you doing this in the browser on in Power BI Desktop? 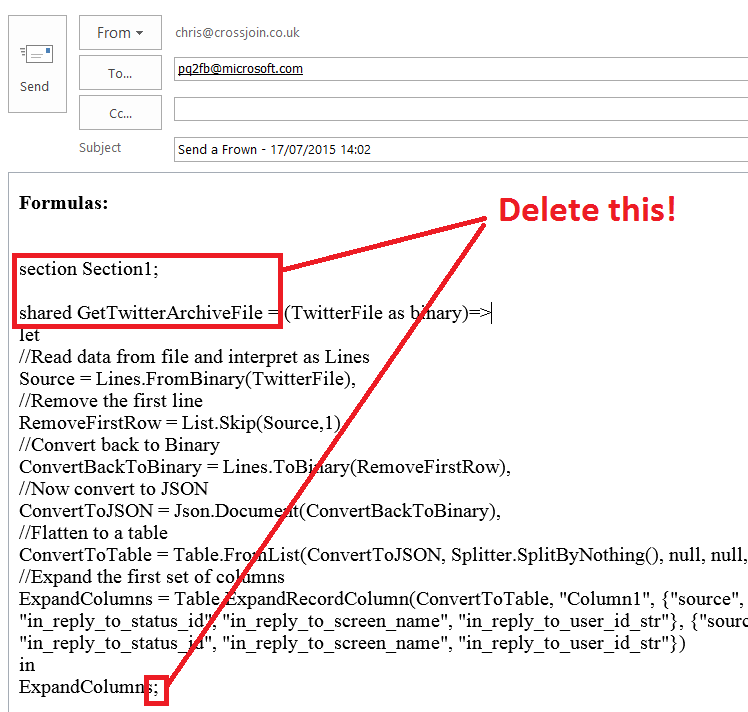 I still see an email with the code generated when I do this in Power BI Desktop using the latest release. Hi Chris, thanks for your reply. I can also confirm it works in the current version of Power BI Desktop.